The US Air Force said the B-52s took off from Andersen Air Force Base in U.S. and "transited to the vicinity of the South China Sea". 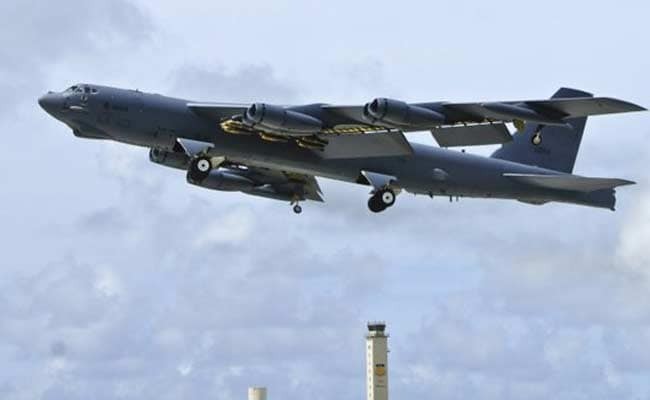 TOKYO: U.S. Air Force B-52 bombers have carried out training in the "vicinity" of the South China Sea and the southern Japanese island of Okinawa, the Air Force said on Friday, in what a Chinese newspaper linked to China's drills near Taiwan. "The B-52Hs conducted training and then transited to the vicinity of Okinawa to conduct training with USAF F-15C Strike Eagles, before returning to Guam," it added. The exercise was reported in Taiwanese media this week, which speculated it could have been a warning from the United States to China following China's stepped up military presence around Taiwan, the self-ruled island Beijing claims as its own. Chinese Defence Ministry spokesman Wu Qian was asked about the U.S. bombers at a news briefing on Thursday but would only say the Chinese armed forces had the situation under control. China has been issuing increasingly strident warnings to Taiwan to toe the line, and has been flying military aircraft around the island in what China calls "encirclement patrols". In a Friday editorial, the widely-read Chinese state-run tabloid the Global Times said if the U.S. bombers were meant to send a message to Beijing about Taiwan it would not work. "Mainland military aircraft will fly closer and closer to Taiwan and in the end fly above the island," the paper added.